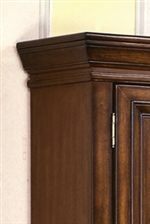 Display your book collections, awards, or home office accessories in style with this tall and elegant open bookcase. 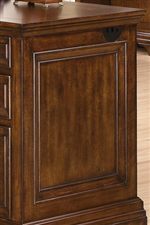 The case features a traditional design of bracket legs and a warm Heritage Cherry finish great for the look of an office. Five shelves provide you with ample storage space, three of which are adjustable to accommodate all of your display needs. The Woodlands Traditional 5 Shelve Bookcase with Adjustable Shelves by Flexsteel Wynwood Collection at Sheely's Furniture & Appliance in the Ohio, Youngstown, Cleveland, Pittsburgh, Pennsylvania area. Product availability may vary. Contact us for the most current availability on this product. 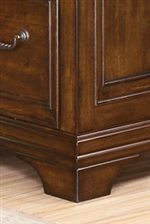 The Woodlands collection is a great option if you are looking for Traditional furniture in the Ohio, Youngstown, Cleveland, Pittsburgh, Pennsylvania area. 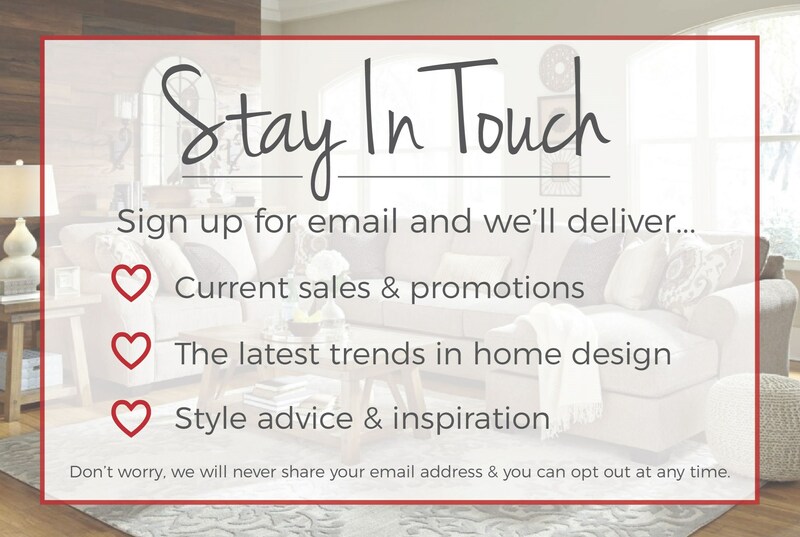 Browse other items in the Woodlands collection from Sheely's Furniture & Appliance in the Ohio, Youngstown, Cleveland, Pittsburgh, Pennsylvania area.